Whisker Haven is home to a variety of animals, collectively dubbed “Critterzens.” Critterzens are cats, dogs, horses, birds, rabbits, and even exotic animals like turtles, ferrets, chinchillas, guinea pigs, lizards, snakes, and so much more. Mr. Chow owns and runs the local kibble shop in Whisker Haven. He's a chubby, grey cat with a huge appetite for kibbles and nibbles. Lucy is the squeaking pup who runs the Squeak and Ball Supply Shop. She is happy to talk or squeak to you all day about anything squeak balls. Tillie is the sweet and cheerful kitten-tailor who owns the Tutu Tailor Shop where she makes custom tutus! 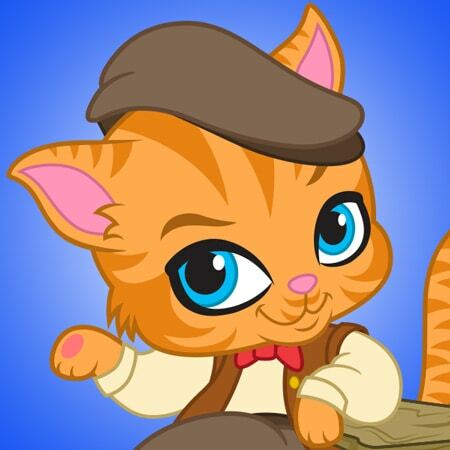 Barnaby Pickles is the local trickster of Whisker Haven who loves to play silly tricks on friends. Miss Sophia is a sweet-natured sloth that loves snacking and hanging out in the trees of Whisker Woods. Jane Hair owns and runs her “hair” salon and loves to groom, groom, and groom some more! Chauncey is the resident eating champion of Whisker Haven and a very cheery corgi with an irresistible personality.